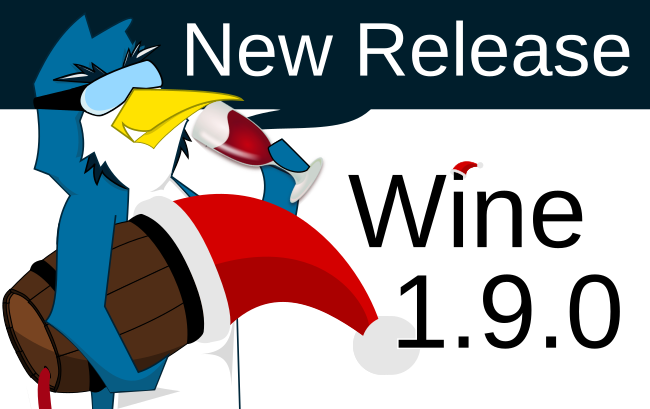 After release of stable version 1.8, Wine team opened a new development branch, 1.9. While it still doesn't include as many new features as previous development releases, there are 43 fixed bugs. Alexandre Julliard wrote: I will try to make a 1.9.0 release this Friday. As we are approaching the dreaded "1.10", this or the next release seem like good opportunities to drop the meaningless "1." from our version numbers. IIRC, back at FOSDEM 2014 Alexandre said that 1.8/1.9 would be the last 1.x releases because people are confused by two digit numbers. Yes, the plan is for the next stable version to be called 2.0.